Every year on the third Sunday of November the wine auction at the Hospice de Beaune in France takes place. This year’s the 151st auction will be held on Sunday, November 20th. Like last year, it will led by the famous British auction house Christie’s. Last year on November 21 during the 150th auction 543 barrels of red and 100 barrels of white Burgundy wines werd sold to the highest bidder for a total of 5,000,000 euros. Each barrel contains 228 ​​liters. 400,000 euros was payed for the “pièce du President”, a barrel of 500 liters of Beaune Premier Cru Cuvée Nicolas Rolin, sold on behalf of the French actor Fabrice Luchini, who last year was chairman of the auction. The proceeds from the auction will be used for the social works of the Hospices de Beaune. 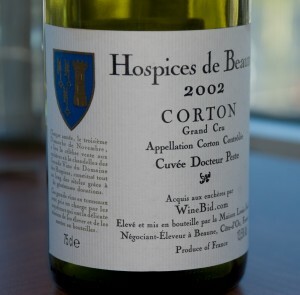 The first charity wine auction in Beaune was organized in 1859.